It doesn’t matter if you are leaving for a couple of days or a long stint, traveling can take its toll on your clothes, gear, and sheer force of will. As someone who has traveled extensively for a number of years, I’ve had my fair share of travel mistakes, hiccups and nightmares, but there are things that I always carry with me to make my trips a bit easier, or at least, more convenient. We all know how soul-sucking a long day (or week) of travel can be, so if anything diminish its impact, why not adopt and adapt? To help you on your future travel escapades I give you my go-to extras that help me Keep my look, maintain my productivity, and save my sanity. Please note: all items marked with an * indicate we here at What is a Gentleman receive a commission on purchases at that retailer to help keep this site running. At least one Tide to-go pen is a necessity. While your rushing around the airport or mass transit station in the morning, chances are your holding a coffee, and that coffee is the ultimate nemesis of any light-colored shirt. A Tide pen the perfect “uh-oh” fixer. Don’t go to your meeting with a stained tie or shirt, fix it with this miracle pen. Traveling is a great way to crush your shoes. If you have nicer leather shoes and don’t use shoe trees, your subjecting them to unnatural cracks, creases, and the potential to ruin the form fit of the leather that took months to break in. Inserting shoe trees prevents crushing, and folding, preserving their perfect shape. This is a simple wardrobe saver. Your clothes get tossed around a lot during travel, some jackets end up on the floor, pants fall off the hanger, and your stuff gets dirty. Since you normally don’t have access to laundry, between the Tide to-go pen and a lint roller, you can get by pretty well, outside of your clothes smelling. Toss this in your luggage and stay fresh. This is one of the most important travel accessories known to millennials. This Anker powercore can charge a phone 7 times, 7. If you need more than that in between destinations, my god have mercy on you, because that sounds awful. Keep in touch via your phone or iPad, or keep the toons going outside with a your USB-charged bluetooth speaker with one of these bad boys. A. Must. Have. Two Anker Products in a row? Yep, they make quality products that don’t easily fray or break, and when you’re constantly on the move, you need that. This multi-pack has a 3ft, 6ft, and 10ft cable, which is perfect. The 3-footer for your desk or when you’re charging something in your bag, the 6-footer for when the hotel has a USB port in the clock, and a 10- footer for when they don’t and you have to plug your phone in half way across the room, because why would you ever need to plug in your phone near your bed (I hate this so much). This is the only pack you’ll need for a while, so skip the basics and hit the premium stuff. The traveler’s best friend. 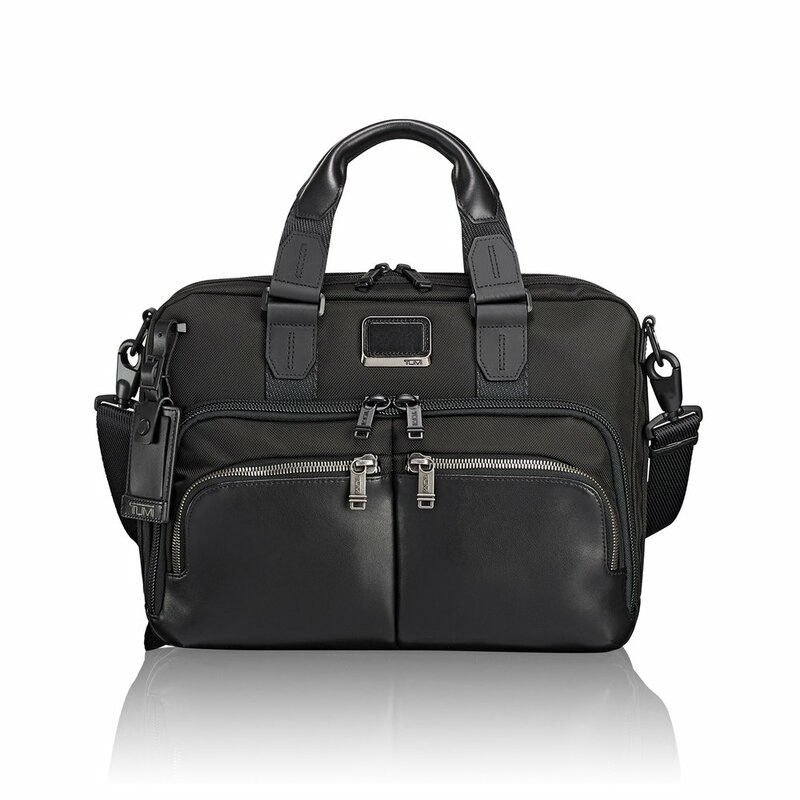 Many in the consulting community are die-hards for the alpha bravo collection from Tumi, and for good reason. These bags are pricey but last forever. You can usually identify the airline point leaders by the presence of one of these atop their roller bag. This Albany slim commuter brief has the space, compartments, and functionality you need. Tumi has thought about quality and convenience, with the pockets for a laptop, iPad, pens, small electronics, and external panels with an easy over handle through pouch, allowing you to slide this guy over your roller bag handle and know it’s not going anywhere. Getting rest during travel is an elusive task. Between the noise, the constant shaking and movement, and physical pain caused by your seat, finding a sense of comfort to catch some zees is difficult. Neck pillows provide at least some contentment in this on-the-go environment, but can be bulky to pack. This is why the sea to summit pillow from L.L.Bean is perfect because it is super soft and deflates when you need to pack it away. No more wearing your neck pillow or strapping it to the outside of your bag while running through the airport. Outside of the Anker Powercore, these Bose QC20 headphones are probably the second most crucial item on the list. These noise cancelling headphones help drown out the ambient noise coming from the baby in 19B, the two sorority girls in the row behind you talking about their exes, and the loud chewer next to you, so you can focus on whatever work, movie, or song you WANT to listen to. They are more compact than their over-ear counterparts, and the variable sizing of the inserts makes sure you have a complete seal in your ear, making the world truly quiet. Save yourself, and gain focus. A key to staying on top of your grind during travel is staying hydrated. While a beer or hard drink is the go-to move when leaving for vacation, or heading home from a week of travel, water is the key to keeping an even presence throughout your travel experience. Make sure you empty this before you hit the security line, then fill up once your get to the other side. I like the vacuum sealed bottles because it keeps liquids at temperature for a long time, so my water is cold, my non-airline brand coffee is warm, and I feel good. This is the just-in-case carry item. The altitude, temperature, and humidity changes can give you a headache that throws you off your game. That’s when a pain reliever comes into play. I like Ibuprofen because it’s an anti-inflammatory, so it relieves aches and pains in the body due to over-use a bit better. But whatever pain reliever works for you will do. What else do you typically travel with? Anything you can’t travel without? Let us know in the comments section down below.